Environments are consistent, meaning that you can choose the languages and dependencies you want for your project without worrying about system conflicts. Environments are isolated, making it easier to troubleshoot issues and onboard new team members. Environments are portable, allowing you to package and share your code with others. Synchronize the application code on the host with the code in the container to facilitate changes during development. Ensure that changes to the application code work without a restart. Create a user and password-protected database for the application's data. A development server running Ubuntu 18.04, along with a non-root user with sudo privileges and an active firewall. For guidance on how to set these up, please see this Initial Server Setup guide. Docker Compose installed on your server, following Step 1 of How To Install Docker Compose on Ubuntu 18.04. The first step in building this setup will be cloning the project code and modifying its package.json file, which includes the project's dependencies. We will add nodemon to the project's devDependencies, specifying that we will be using it during development. Running the application with nodemon ensures that it will be automatically restarted whenever you make changes to your code. First, clone the nodejs-mongo-mongoose repository from the DigitalOcean Community GitHub account. This repository includes the code from the setup described in How To Integrate MongoDB with Your Node Application, which explains how to integrate a MongoDB database with an existing Node application using Mongoose. With the project code in place and its dependencies modified, you can move on to refactoring the code for a containerized workflow. Modifying our application for a containerized workflow means making our code more modular. Containers offer portability between environments, and our code should reflect that by remaining as decoupled from the underlying operating system as possible. To achieve this, we will refactor our code to make greater use of Node's process.env property, which returns an object with information about your user environment at runtime. We can use this object in our code to dynamically assign configuration information at runtime with environment variables. Our new constant definition assigns port dynamically using the value passed in at runtime or 8080. Similarly, we've rewritten the listen function to use a template literal, which will interpolate the port value when listening for connections. Because we will be mapping our ports elsewhere, these revisions will prevent our having to continuously revise this file as our environment changes. When you are finished editing, save and close the file. Imports Mongoose, the Object Document Mapper (ODM) that we're using to create schemas and models for our application data. Sets the database credentials as constants, including the username and password. Connects to the database using the mongoose.connect method. For more information about the file, please see Step 3 of How To Integrate MongoDB with Your Node Application. At this point, you have modified db.js to work with your application's environment variables, but you still need a way to pass these variables to your application. Let's create an .env file with values that you can pass to your application at runtime. Note that we have removed the host setting that originally appeared in db.js. We will now define our host at the level of the Docker Compose file, along with other information about our services and containers. Save and close this file when you are finished editing. Because your .env file contains sensitive information, you will want to ensure that it is included in your project's .dockerignore and .gitignore files so that it does not copy to your version control or containers. At this point, you have successfully extracted sensitive information from your project code and taken measures to control how and where this information gets copied. Now you can add more robustness to your database connection code to optimize it for a containerized workflow. Our next step will be to make our database connection method more robust by adding code that handles cases where our application fails to connect to our database. Introducing this level of resilience to your application code is a recommended practice when working with containers using Compose. The reconnectTries option tells Mongoose to continue trying to connect indefinitely, while reconnectInterval defines the period between connection attempts in milliseconds. connectTimeoutMS defines 10 seconds as the period that the Mongo driver will wait before failing the connection attempt. We can now use the new options constant in the Mongoose connect method to fine tune our Mongoose connection settings. We will also add a promise to handle potential connection errors. In the case of a successful connection, our function logs an appropriate message; otherwise it will catch and log the error, allowing us to troubleshoot. Save and close the file when you have finished editing. You have now added resiliency to your application code to handle cases where your application might fail to connect to your database. With this code in place, you can move on to defining your services with Compose. With your code refactored, you are ready to write the docker-compose.yml file with your service definitions. A service in Compose is a running container, and service definitions — which you will include in your docker-compose.yml file — contain information about how each container image will run. The Compose tool allows you to define multiple services to build multi-container applications. Before defining our services, however, we will add a tool to our project called wait-for to ensure that our application only attempts to connect to our database once the database startup tasks are complete. This wrapper script uses netcat to poll whether or not a specific host and port are accepting TCP connections. Using it allows you to control your application's attempts to connect to your database by testing whether or not the database is ready to accept connections. Though Compose allows you to specify dependencies between services using the depends_on option, this order is based on whether or not the container is running rather than its readiness. Using depends_on won't be optimal for our setup, since we want our application to connect only when the database startup tasks, including adding a user and password to the admin authentication database, are complete. For more information on using wait-for and other tools to control startup order, please see the relevant recommendations in the Compose documentation. echoerr "Error: you need to provide a host and port to test." Save and close the file when you are finished adding the code. context: This defines the build context for the image build — in this case, the current project directory. dockerfile: This specifies the Dockerfile in your current project directory as the file Compose will use to build the application image. For more information about this file, please see How To Build a Node.js Application with Docker. env_file: This tells Compose that we would like to add environment variables from a file called .env, located in our build context. environment: Using this option allows you to add the Mongo connection settings you defined in the .env file. Note that we are not setting NODE_ENV to development, since this is Express's default behavior if NODE_ENV is not set. When moving to production, you can set this to production to enable view caching and less verbose error messages. Also note that we have specified the db database container as the host, as discussed in Step 2.
ports: This maps port 80 on the host to port 8080 on the container. The first is a bind mount that mounts our application code on the host to the /home/node/app directory on the container. This will facilitate rapid development, since any changes you make to your host code will be populated immediately in the container. The second is a named volume, node_modules. When Docker runs the npm install instruction listed in the application Dockerfile, npm will create a new node_modules directory on the container that includes the packages required to run the application. The bind mount we just created will hide this newly created node_modules directory, however. Since node_modules on the host is empty, the bind will map an empty directory to the container, overriding the new node_modules directory and preventing our application from starting. The named node_modules volume solves this problem by persisting the contents of the /home/node/app/node_modules directory and mounting it to the container, hiding the bind. Your bind will mount the contents of the node_modules directory on the container to the host and this directory will be owned by root, since the named volume was created by Docker. If you have a pre-existing node_modules directory on the host, it will override the node_modules directory created on the container. The setup that we're building in this tutorial assumes that you do not have a pre-existing node_modules directory and that you won't be working with npm on your host. This is in keeping with a twelve-factor approach to application development, which minimizes dependencies between execution environments. networks: This specifies that our application service will join the app-network network, which we will define at the bottom on the file. command: This option lets you set the command that should be executed when Compose runs the image. Note that this will override the CMD instruction that we set in our application Dockerfile. Here, we are running the application using the wait-for script, which will poll the db service on port 27017 to test whether or not the database service is ready. Once the readiness test succeeds, the script will execute the command we have set, /home/node/app/node_modules/.bin/nodemon app.js, to start the application with nodemon. This will ensure that any future changes we make to our code are reloaded without our having to restart the application. image: To create this service, Compose will pull the 4.1.8-xenial Mongo image from Docker Hub. We are pinning a particular version to avoid possible future conflicts as the Mongo image changes. For more information about version pinning, please see the Docker documentation on Dockerfile best practices. MONGO_INITDB_ROOT_USERNAME, MONGO_INITDB_ROOT_PASSWORD: The mongo image makes these environment variables available so that you can modify the initialization of your database instance. MONGO_INITDB_ROOT_USERNAME and MONGO_INITDB_ROOT_PASSWORD together create a root user in the admin authentication database and ensure that authentication is enabled when the container starts. We have set MONGO_INITDB_ROOT_USERNAME and MONGO_INITDB_ROOT_PASSWORD using the values from our .env file, which we pass to the db service using the env_file option. Doing this means that our sammy application user will be a root user on the database instance, with access to all of the administrative and operational privileges of that role. When working in production, you will want to create a dedicated application user with appropriately scoped privileges. Note: Keep in mind that these variables will not take effect if you start the container with an existing data directory in place. dbdata:/data/db: The named volume dbdata will persist the data stored in Mongo's default data directory, /data/db. This will ensure that you don't lose data in cases where you stop or remove containers. We've also added the db service to the app-network network with the networks option. The user-defined bridge network app-network enables communication between our containers since they are on the same Docker daemon host. This streamlines traffic and communication within the application, as it opens all ports between containers on the same bridge network, while exposing no ports to the outside world. Thus, our db and nodejs containers can communicate with each other, and we only need to expose port 80 for front-end access to the application. Our top-level volumes key defines the volumes dbdata and node_modules. When Docker creates volumes, the contents of the volume are stored in a part of the host filesystem, /var/lib/docker/volumes/, that's managed by Docker. The contents of each volume are stored in a directory under /var/lib/docker/volumes/ and get mounted to any container that uses the volume. 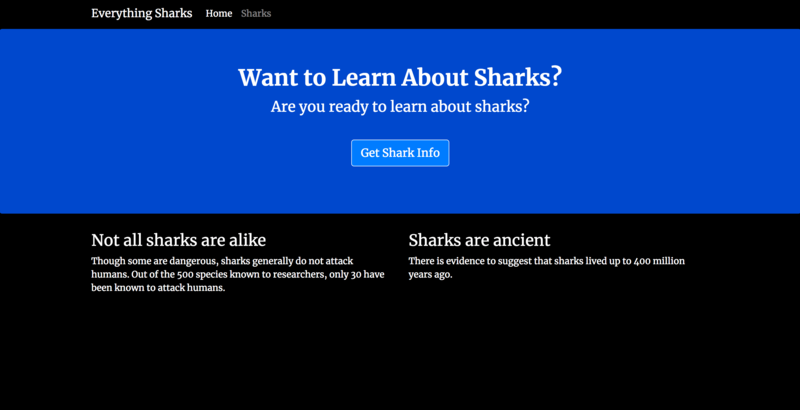 In this way, the shark information data that our users will create will persist in the dbdata volume even if we remove and recreate the db container. With your service definitions in place, you are ready to start the application. With your docker-compose.yml file in place, you can create your services with the docker-compose up command. You can also test that your data will persist by stopping and removing your containers with docker-compose down. nodejs    | Example app listening on 8080! As a final step, we can test that the data you've just entered will persist if you remove your database container. Note that we are not including the --volumes option; hence, our dbdata volume is not removed. Your application is now running on Docker containers with data persistence and code synchronization enabled. By following this tutorial, you have created a development setup for your Node application using Docker containers. You've made your project more modular and portable by extracting sensitive information and decoupling your application's state from your application code. You have also configured a boilerplate docker-compose.yml file that you can revise as your development needs and requirements change. As you develop, you may be interested in learning more about designing applications for containerized and Cloud Native workflows. Please see Architecting Applications for Kubernetes and Modernizing Applications for Kubernetes for more information on these topics. To learn more about the code used in this tutorial, please see How To Build a Node.js Application with Docker and How To Integrate MongoDB with Your Node Application. For information about deploying a Node application with an Nginx reverse proxy using containers, please see How To Secure a Containerized Node.js Application with Nginx, Let's Encrypt, and Docker Compose. In this series, you will build and containerize a Node.js application with a MongoDB database. The series is designed to introduce you to the fundamentals of migrating an application to Kubernetes, including modernizing your app using the 12FA methodology, containerizing it, and deploying it to Kubernetes. The series also includes information on deploying your app with Docker Compose using an Nginx reverse proxy and Let's Encrypt. Interested in Node.js but not sure where to start with Docker? This tutorial will walk you through the first step: building an image for a Node.js application and creating a container from it. We will also walk you through pushing that image to Docker Hub and using the saved image to recreate your application container. In the process of working with Node.js, you may find yourself developing a project that stores and queries data. This tutorial will show you how to integrate MongoDB with an existing Node application. This process will involve adding user and database information to your application code and using the Object Document Mapper Mongoose. At the end of the tutorial, you will have a working application that will take a user's input and display it in the browser. If you are actively developing an application, Docker can simplify your workflow and the process of deploying your application to production. This tutorial will show you how to set up a development environment for a Node.js application using Docker. You will create two containers — one for the Node application and another for the MongoDB database — with Docker Compose. 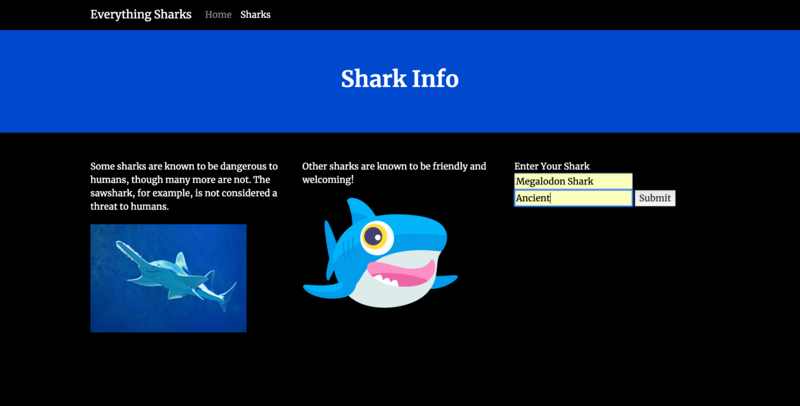 At the end of this tutorial, you will have a working shark information application running on Docker containers. This tutorial will show you how to migrate your Docker Compose workflow to Kubernetes using kompose. You will start by creating a single-instance setup for a Node.js application with a MongoDB database on a Kubernetes cluster. You will then scale this setup to include multiple replicas of your application and database. Secure your containerized Node.js application by following this tutorial, which shows you how to deploy a Node.js application with an Nginx reverse proxy using Docker Compose. You will obtain certificates for your application domain with Let's Encrypt and ensure that your application receives a high security rating.